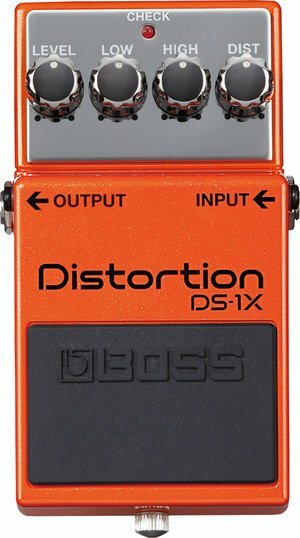 At first glance, you might think this is the standard distortion stompbox that BOSS has been making for decades. And yeah, it’s close, but when you look under the hood, it’s a whole other story. See, BOSS uses their Multi-Dimensional Processing (MDP) in this unit, culled from 35 years or so of making pedals, and always striving to make them better. We could talk about the technical side all day, but here’s the skinny – this is not your dad’s distortion. You get dynamic sound, notes that aren’t muddy, controls that respond over a wider range than your standard analog pedal. Welcome to the 21st century.